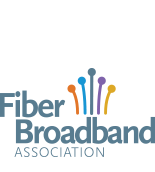 Fiber Broadband Association webinars are an excellent way to reach your customers and audience in an educational and informative platform where your company is presented as an industry leader and expert. Webinars enable you to easily answer frequently asked questions about sales and product details. All Premier Member companies have priority scheduling of webinars and can choose any open month to hold an educational webinar. All other member companies may request a month to hold an educational webinar for a $2000 fee or as part of a sponsorship. Please contact Kathy Sveen at ksveen@smithbucklin.com if you are interested in learning more about sponsorship opportunities. Non-member companies may not hold webinars through the Fiber Broadband Association. All webinars must support the mission of the Fiber Broadband Association. They must educate and speak about a topic or concept. A presenter company may show products only as an example of the concept presented. Webinars are not intended as direct sales pitches. Contact Membership@fiberbroadband.org with your proposed topic and date. Topic description – what is the webinar about, who should attend, and what will they learn. Company logo – 200x200 pixel size. You have the option of delivering handouts or holding a poll during your webinar. If you would like to do that, forward the handouts or poll questions. A review copy of your presentation must be submitted three weeks ahead of the presentation date for our Technology Committee for approval. Webinar promotion begins two weeks ahead of the webinar, but may be posted on the events page of our website prior upon Technology Committee approval. Speaker introduction remarks, if not in the bio sent with headshot. Your presentation may include your company logo on the slides which are usually in Powerpoint format. A Fiber Broadband logo is available on our site under Resources/Logos if you would like to include it on the slides. A webinar check-in will be done a week prior to the webinar – please send Cbrunner@fiberbroadband.org a date and time you can allot 20 minutes. You will see the GoToWebinar platform and a staff member will explain how the webinar will work, from start to finish. Audio quality will be checked. The webinar is presented from your computer via GoToWebinar. The process is easy and seamless. Any number of presenters can participate from multiple locations. A Fiber Broadband Association staff member will be connected to the webinar at all times, to ensure everything runs smoothly. Your webinar will be recorded and made available under "Past Webinars" on the Events/Webinars page after the presentation for Association members only. Email to Fiber Broadband Association data base (40M+ contacts), 2 weeks prior to webinar, announcing the webinar and providing registration link. Follow-up email to a webinar-targeted audience 1week prior. Webinar Posting on Fiber Broadband Association LinkedIn Group, 1,050+ members. Listing in the Fiber Broadband Association weekly Member Newsletter (2M+ contacts) and monthly Connection Newsletter – sent to 6,500+ opt-in emails. The Connection is distributed to Fiber Broadband Association members and others who are interested in the Association and industry news. You receive an opt-in webinar registration and attendance report, listing the names, companies and email addresses of those who registered and/or attended your webinar. This provides you with an excellent data base for follow-up and business development.